Do your students need practice with 3rd grade math skills? This packet is just plain fun. Not only is it PACKED with third-grade common core math problems, it also gives students fun coloring, puzzles, and problem solving. 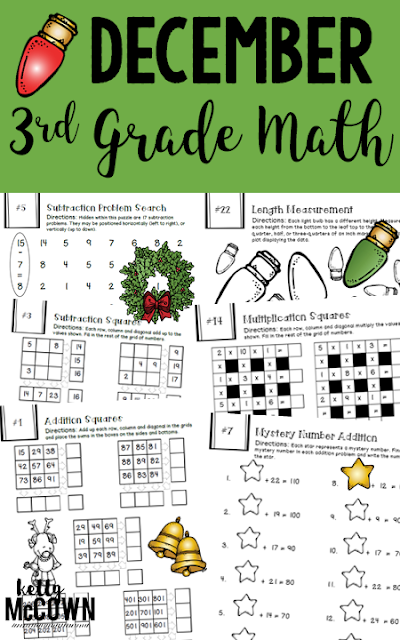 These Math activities are great for students to increase their Math fluency and competency of 3rd grade skills. 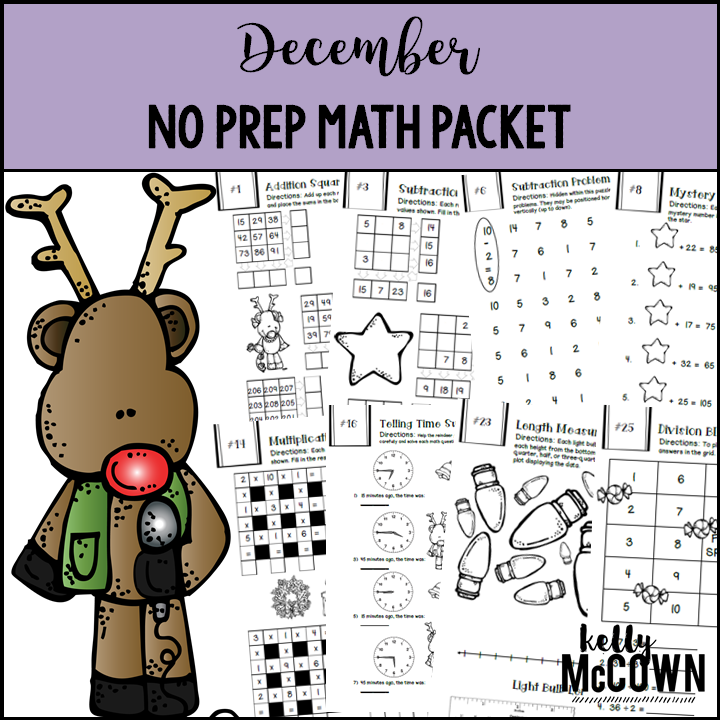 December is a great time to review and refresh skills. Teachers have reviewed this packet as "excellent and students loved the activities". Students enjoy the puzzles and activities while practicing Math. A great tool for any third grade classroom.